The BCE 6' Pool Table is a natural wood effect pool table which comes complete all the things you need to get playing right away - set of pool balls (spots and stripes), 2 x 48 inch cues, a triangle, a brush and 2 chalks. This table is supported on metal legs with adjustable levellers giving a solid, stable playing surface. 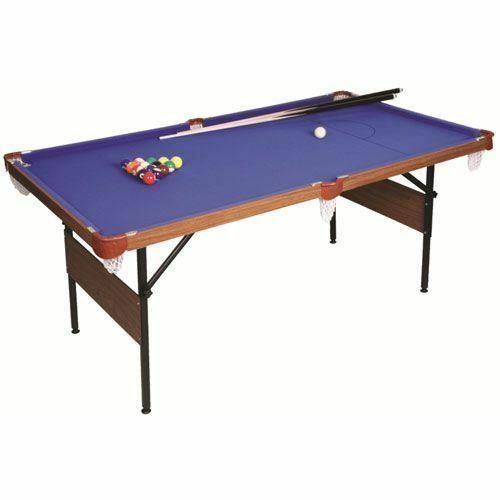 for submitting product review about BCE 6' Pool Table (ISD1181).